With 2013 nearing its close the time feels right for us to look back at those 3DS games that have rocked our worlds this year. 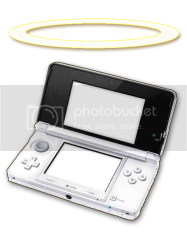 The Council has adjourned there no better way to do this than by asking the 3DSBlessed angels themselves to each say a few words about the title they’ve enjoyed most these past 12 months. “Some folks criticize the Monster Hunter franchise. They say that Capcom are guilty of releasing heaps of versions of the same game, akin to how they do with, say, Street Fighter 4. It’s a valid criticism but, as far as Monster Hunter 3 Ultimate is concerned, I can only have so much sympathy with holders of this view. You see I came to the game from a different perspective. I’d never even played a Monster Hunter title before, but I have played tonnes of games on Nintendo handheld consoles throughout the years. And I can tell you, with sincerity, that there’s never been one quite like this before. Never before have I experienced a handheld action RPG with such gorgeous graphics, drama or sense of urgency as MH3U to date. Not everyone welcomed the 3DS incarnation of Monster Hunter… But having gotten to grips with it HelenBaby wouldn’t be without it! 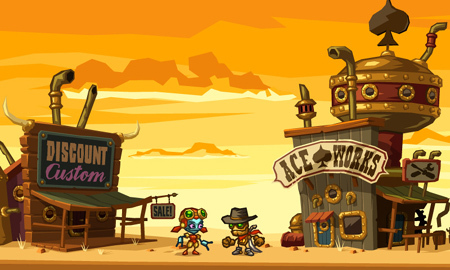 “SteamWorld Dig is my favourite 3DS game of 2013, there’s just so much to do! While you progress through the story you can mix things up by doing things such as taking different paths to find different gems in order to upgrade your items. The game offers different classic gameplay styles such as Mr Driller and Metroid. After completing this game, you feel like completing again but trying to doing it in the fastest time possibly. A good example of word of mouth making an indie game become well known, since it is getting a PC release via Steam and a sequel”. “Most of this year has been rough. I’m presently in a situation where I’m alone at home a lot, can only see friends infrequently, and a decent chunk of my free time is spent (unsuccessfully) looking for work. It’s at times like this where escapism and a connection to other players is a welcome break from daily monotony, and nothing has provided that better than Animal Crossing: New Leaf. 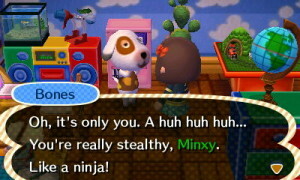 Animal Crossing at its core is a game about self-expression and connectivity. Anything from the layout of your town to the clothes on your back are customisable and give you an opportunity to share your labours with your friends. There’s plenty to do, but it will never push you for progress. And if your friends aren’t on line, you can count on your villages to send you a kind word in a letter. Thanks for keeping me sane, Animal Crossing”. “I haven’t played Monster Hunter 4 as much as I want to, but I already know that I will invest many hundreds of hours into it. It’s one of those games that grabs onto you and you know that you’re in for one heck of a journey. The game takes the best bits from all the previous games and mixes them up into an amazing package, everything from the fluid controls; fast-paced combat and gameplay all feel incredibly polished. 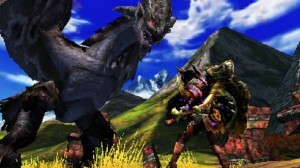 I mentioned in my review how the game kicks up the challenge a notch when compared to Monster Hunter 3 Ultimate, yet at the same time does not feel completely unfair. 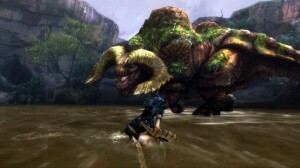 If you’re new to the series, you’ll still be able to find yourself at a comfortable starting point due to the game’s pacing, whereas if you are already a skilled player, the experience and muscle memory from playing the previous games will definitely give you a head start into Monster Hunter 4”. What’s your 3DS Game of 2013? I would say Fire Emblem Awakening which I feel not only was a great RPG, but bought the series more recognition to the West.